Q+M Travels partnered with Pangaea Exploration to sail the Sea Dragon south. Make no mistake, this trip is not aboard the Esprit. We’ve chartered the 72’ ocean research vessel and retired racing yacht, Sea Dragon, to sail from Vancouver BC to San Francisco via the San Juan Islands. The primary goal of this trip is to get into some offshore sailing! We’ll have the opportunity for sailing with Orcas in the San Juan’s and hiking in Washington’s Olympic National Park, but then we’ll spend four or five glorious days in the big blue, with endless horizons, where the stars meet the water. A detailed itinerary is below but here are the need to knows: Trip dates are from August 25th to September 4th, 2019—ten nights. Your $1,000 deposit confirms your booking. There will be up to 14 people on this trip, four are professional crew (including Q+M), leaving 10 available bunks for guest crew. Visit Sea Dragon on the Pangaea Exploration’s website. Read the ‘Lectronic Latitude story about Sea Dragon’s visit to the Bay in 2018. You’ll meet the Sea Dragon on the dock in Vancouver at Coal Harbor Marina anytime between 1500 and 1700 and come on board to settle in. Everyone will come together for our first dinner on board and have the opportunity to get to know your fellow crew members. After dinner, your professional crew will go through life on board and safety procedures in prep for departure the following morning. You’ll be fitted with your own lifejacket and assigned foul weather gear if you haven’t brought your own. After prep, you’ll have free time to explore the city, read a book or simply hang on board the rest of the night. We’ll stay the night alongside. We’ll wake up and have a lovely breakfast before casting off the lines and heading out under the Lion’s Gate Bridge out of Vancouver to our first destination, Prevost Island. Amongst the gorgeous backdrop of mountains, we’ll set sail and fall into our watch schedule for the day sail. We’ll arrive in the afternoon after finding our way through some of the Gulf Islands to anchor where we’ll spend the night. Nothing like a wonderful meal on deck with the sunset! After a delicious breakfast, we’ll explore in the morning ashore, from the orchards to the point. We’ll hike from the beach where we’ll land with the dinghy, out to the lighthouse overlooking Trincomali Channel. We’ll have a relaxing afternoon, perhaps refreshing with a swim, and spend another night here on anchor. In the morning, we’ll pick anchor and head through the islands making our way to Port Angeles. It will be a bit of a longer sail than our first, but everything will start to feel quite familiar as we make our way. Hopefully we’ll spot some good wildlife along the way, fingers crossed for seeing the resident pods of Orcas! We’ll arrive in time to clear customs and immigration into the US and spend the night alongside on the dock. We’re much too close to the Olympic National Park to miss the opportunity of going for a rainforest hike before heading offshore for a few days. The possibilities are endless and there are options of hikes for all levels of difficulty. 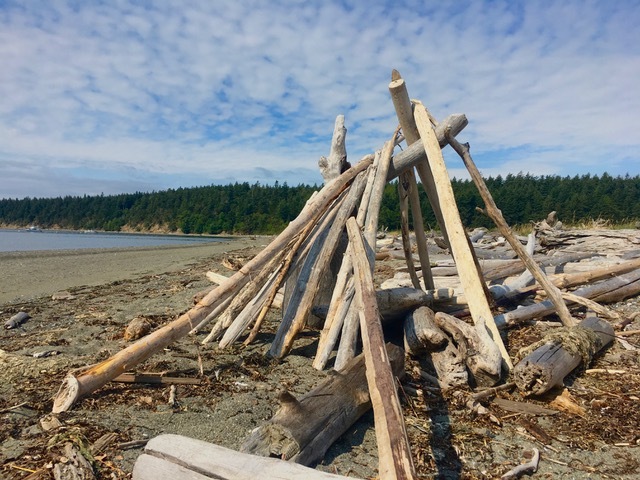 If this isn’t up your alley, take the opportunity to explore Port Angeles! We’ll spend the night alongside again. After breakfast, we’ll prep for going offshore and get off the dock before lunch. Familiar with the watch and sailing routine, we’ll head out the Strait of Juan de Fuca to big blue. Fingers crossed once again for good wildlife viewing, as this region is full of it! We will all find our rhythm to life at sea and the days will fade in and out upon big blue. No two days, sunrises, sunsets or watches will be the same. Good food, great company and hopefully many stars will carry us south toward San Francisco.